An aviation researcher, writer, aviation participant, pilot & agricultural researcher. Author of over 35 scientific publications world wide. In my travels through Australia, I passed through a small Riverina town, where there was a montage formed. 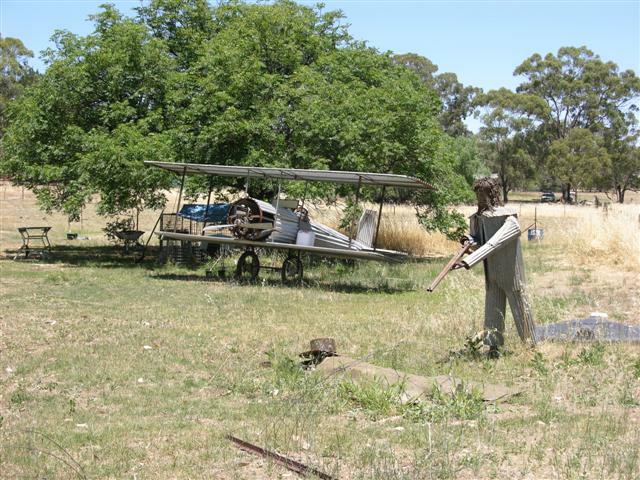 The montage deserves some thought as I believe it can be seen to represent the parlous state of aviation in Australia. Is the person, depicted with a shotgun, the local CASA delegate, or is it the long suffering pilot or operator, who has had enough. Perhaps we should have a long and thoughtful and insightful reflection on this image. 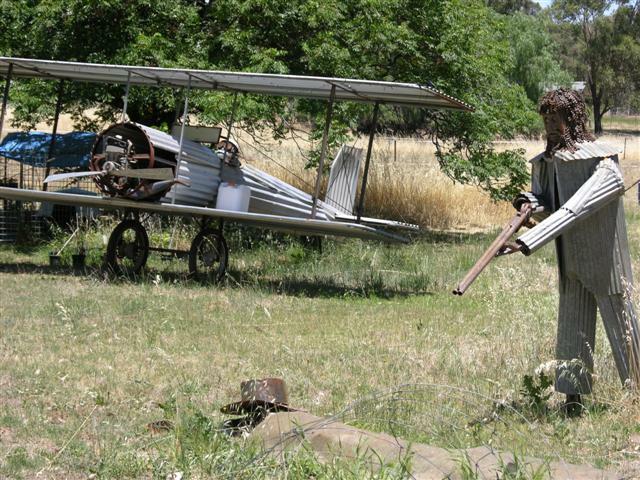 Certainly the aircraft is in “..poor shape…”, there is a man on the ground and the battlelines have been drawn. Is this a case of “….over my dead body………”??? ?